Tables turn quickly and friends become foes in three brand new maps now added to Trading Places mode today in GTA Online. You’ll shoot and dodge your way to the Winner's circle in Little Seoul in Trading Places IV, have a rumble at the Lost Club House in Grapeseed in Trading Places V, and team-build the hard way near the Harmony Place Construction Site in Trading Places VI. 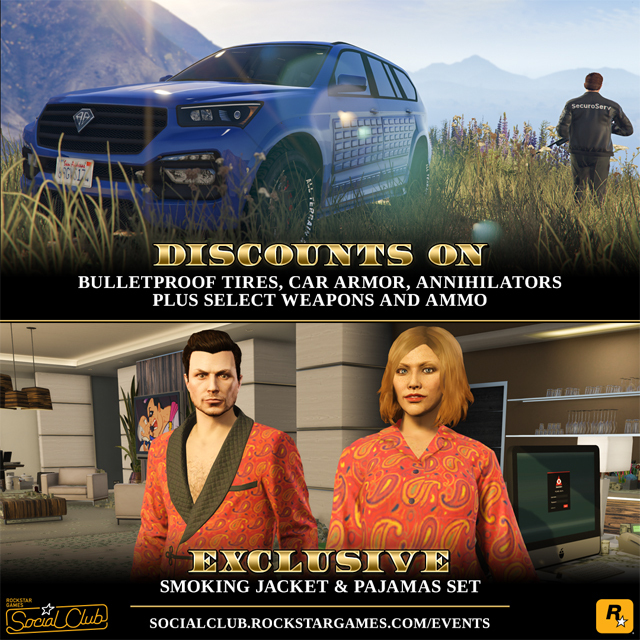 Starting today in GTA Online and running through Monday June 20th, enjoy valuable discounts on Bulletproof Tires, Car Armor, Annihilator Helicopters, select Weapons and Ammo as well as stylish and sleek unlockable bedroom apparel. When the working day is done, and you just want to relax in your Office with a glass of contraband Bleuter'd and a game of Don't Cross The Line, nothing says "I'm off the clock" like this set of Red Swirl Pajamas and the matching Smoking Jacket. 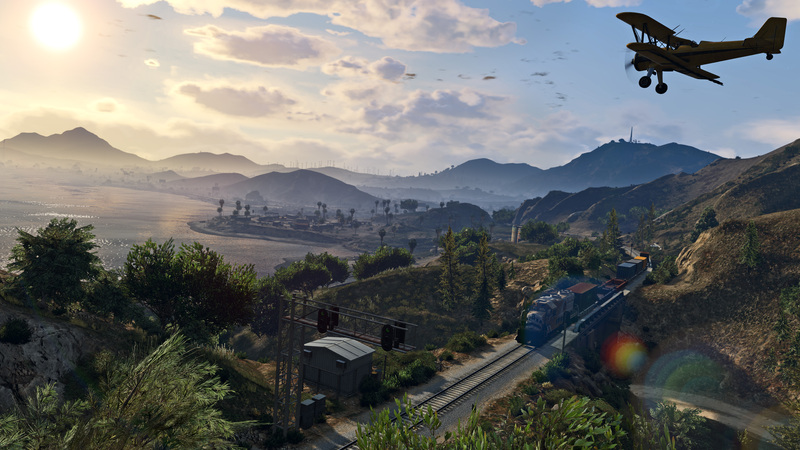 Unlock yours for free simply by logging into GTA Online anytime now through Monday June 20. Don't forget that the quickest way to pick up Special Cargo is to drive over it; amidst a hail of gunfire from would-be saboteurs, this is also the safest option. Make it that much safer this week by investing in discount Bulletproof Tires and Car Armor for your Grotti Bestia, Pegassi Reaper or other executive transport of choice. Invest in a prime piece of military hardware this week from the Elitas Travel website, and you'll be protecting you and yours for 25% less than the standard retail price. Healthy for your wallet, and for the stash of Special Cargo in your Warehouse. Four mounted Miniguns also make this the perfect choice for destroying incoming shipments belonging to rival Organizations. 3 New Trading Places Maps & This Week's Deals - Check out 3 new Trading Places maps and take advantage of this week's deals in GTA Online!